N.B. Many of our Azamara Club Cruise special offers are strictly “members only” and never released to the general public. 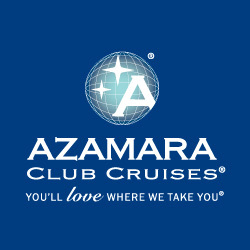 Azamara Club Cruises are fairly new to the cruising scene, having been founded in 2007. However, while the name may not be overly familiar, the parent company of Azamara Club Cruises certainly will be – it is Royal Caribbean. So let’s explore a little more about Azamara Club Cruises so you know what to expect from a cruise taken with this company. As mentioned above, Azamara Club Cruises is only a few years old, but while it may be the new kid on the block it definitely has a pedigree all of its own. Even though this cruise line is only five years old it has gone through a number of changes in order to emerge as a main player in the area of the market it is in today. They provide overnight stays in many ports instead of focusing on travelling at night and exploring places by day. This allows its guests to fully explore each destination they stay in, and it is a key part of the ‘Club’ experience. As such, the Azamara Club Cruises may have a short history but it has certainly been an entertaining and ever changing one thus far. This is an upmarket cruise line but don’t be put off – it manages to tread that fine line between cheap cruises and those that are the cream of the crop. You will notice too when you read the fleet of ships section below that the capacity for their ships is much smaller than that of other major cruise lines. This allows for a more personal touch and a cosier experience on board during your trip. This experience is extended into staying longer at many of the ports the ships visit. While many cruises take the opportunity to travel from A to B while their passengers are enjoying their evenings on board, this is not the case for the Azamara Club Cruises. Here the opportunity is given to stay longer in each location, so while the ship and its amenities are there to be enjoyed, you can also enjoy more time in each port, making the most of your cruise. As you would expect from a cruise line whose parent company happens to be Royal Caribbean, you can look into many different destinations when you opt for Azamara Club Cruises. For example they offer Mediterranean cruises that go to such destinations as Istanbul in Turkey and Barcelona in Spain. Elsewhere their Caribbean cruises stop off in such delightful places as Barbados, Grand Cayman and St Thomas. Of course you don’t need to go that far afield on one of the Azamara Club Cruises; Europe offers plenty of delights for you to explore as well. Be taken back in time to the ancient sights in Athens, Greece, or head for Copenhagen in Denmark. These are just two of the destinations that appear on some of their European cruises. Elsewhere you can visit destinations in South America, the Amazon, Asia and even the US of A… so as you can see, Azamara Club Cruises can take you literally wherever you want to go across the entire world. There are two ships in the Azamara fleet – the Azamara Journey and the Azamara Quest. As you will see there are many similarities between them – but they are all very appealing. On board the Azamara Journey you have four main accommodation options to choose from – a suite, a veranda option, an Oceanview Stateroom or an Interior Stateroom. If you opt for a veranda stateroom you can go for a standard or deluxe room. Meanwhile the suites are offered in three options – Club Continent, Club Ocean and Club World Owner’s Suite. In addition, there is an additional Oceanview Accessible Stateroom option you can go for if you wish. There are two restaurants on board this ship, with an additional cafe serving a range of coffees and also a wine bar. You can also look forward to partaking in a range of programmes on a daily basis, and enjoying a range of live entertainment. The accommodation options on the Azamara Quest are identical to those on the Azamara Journey. This means that whatever cruise you pick and whichever of the two ships you will be travelling on, you can choose the perfect stateroom or suite for your requirements. The ship also has two restaurants and a wine bar, as well as a piano bar if you like to enjoy your drinks to the sound of music! Additionally you can also look forward to a selection of live entertainment and daily lectures and classes on all manner of different topics. As you can see, a cruise with Azamara Club Cruises is a true delight in every sense of the phrase.